Just before the monsoons, Pasang made the arduous trip to his native village to buy livestock on behalf on NRVT. Sourcing good quality animals and establishing which families are most in need requires much discussion with local leaders and many kilometers of walking across the mountains. In total 8 goats (all with kids) and two cows in calf were bought and donated to delighted families. These villagers can now look forward to a more secure future. Pasang also talked to the local primary, middle and high schools to discover how NepalRVT could improve educational opportunities for local children. Schools have almost no resources and hundreds of students. Solar power and books are good points to start. Tickets 25€ per person. All profits to Nepalrvt Schools Solar Power Project. Contact Chris or Alison for booking and menu details. The Grand Garden Party in May raised an impressive 850€. Some of this money has already been invested in livestock for subsistence farming families, the remainder will help to purchase solar power for Jaleshwari Schools. Local band DaddyPop played great music all afternoon, donating their services free of charge. Nepalrvt supporters Lex van Boekel and Jacqueline Vissers are heading up to Jaleshwari in November with Trustee Pasang. Lex and Jacqueline have already raised considerable funds for NRVT projects and are now going to meet the villagers and visit the schools. Lex has extensive experience of working in Nepal and we are delighted that he and Jacqueline have offered their valuable support and experience to NRVT. 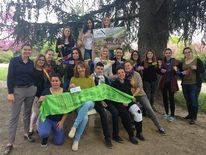 BTS students from Lycée JBD in Alès, France presented a cheque for 300€ to NRVT secretary, Alison Burns. The students already donated medical supplies and school books which trustees Chris and Alison took with them to Jaleshwari in December 2015. 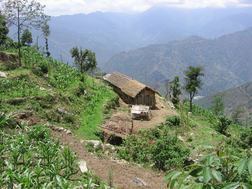 Many villages in Nepal have gained from the trekking industry. 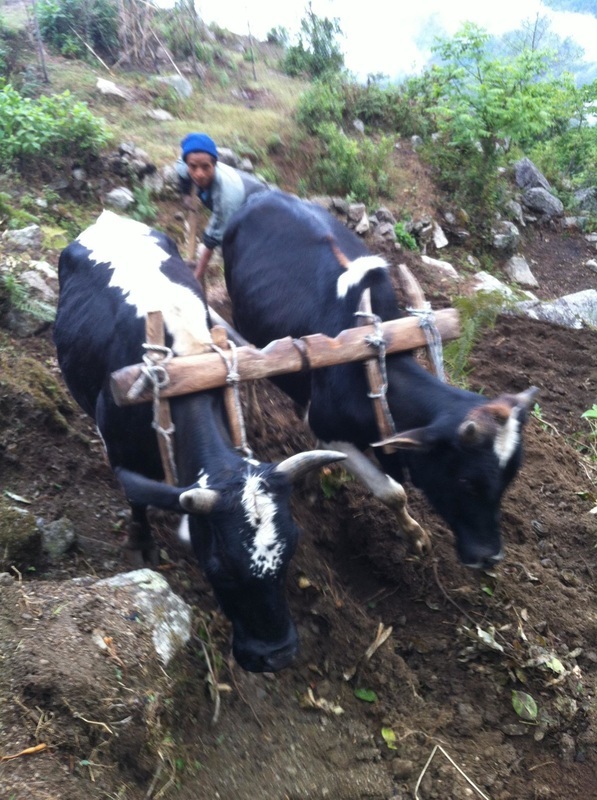 Our goal is to provide practical help for remote Nepali villages that have not benefitted from tourism. 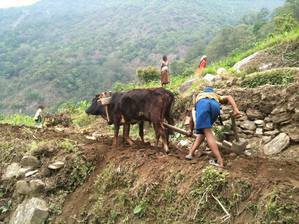 the quality, diversity and security of nutrition in the Khotang region. To achieve this we are now raising funds to buy livestock for families in Jaleshwari, Khotang and to provide solar power and resources for the desperately under-resourced local schools. These initiatives will help raise families out of poverty and improve educational opportunities for children in these remote areas. 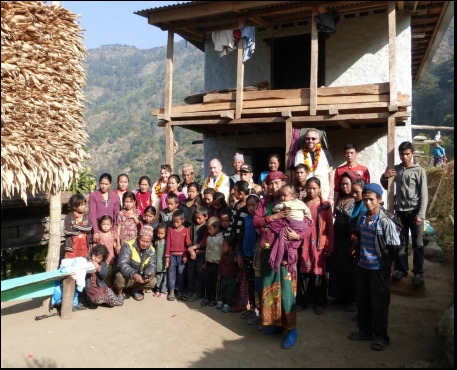 On December 2015 trustees Chris & Alison Burns and Mark Gallant made the trip to the remote villages of Tuhure and Dolpu in Jaleshwari, Khotang. The aim? 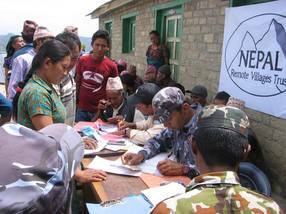 To discover how NRVT could invest funds most effectively to provide practical aid to impoverished village families. The trip involved a twelve hour jeep ride across hair-raising terrain, followed by a two day walk - 'mostly down and then mostly up' as fellow trustee and guide Pasang so elegantly put it. It didn't quite capture the gruelling seven hour walk we tackled on day one but the welcome we received in the villages made it all very worthwhile. For more pictures and information about the trip, click here. ﻿Singati in Dolakha is a small, remote village near the epicentre of the second earthquake a day's walk from the nearest road. 95 people lost their lives here and 200 houses were destroyed. Thanks to generous donations and the hard work of trustees Himal and Pasang, Nepalrvt was able to supply 30kg of rice, plus salt and sugar to 113 families who had nothing. 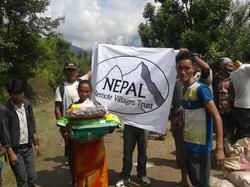 The photo shows the food being distributed by the village coordinator, Mr Nomto Sherpa. 100 tarpaulins were supplied and distributed through official channels through the work of trustees Himal Tamang and Pasang Tamang who are doing a fantastic job organising everything on the ground. Sign up for our newsletter and keep up-to-date with the work of Nepalrvt . Remember, we are a small charity with no overheads so all profit goes directly to Nepal. 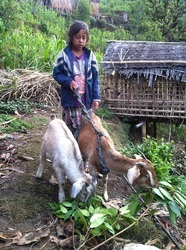 A goat can make an enormous difference to an impoverished Nepalese family providing increased food security and improved nutrition. Chickens, cows and tools are also good options. Is your donation a gift? We can send a personalised card to the recipient of your choice. To donate your animal click here. 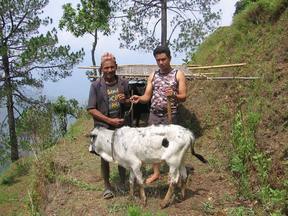 Pasang and villager with the Nepalrvt cow. 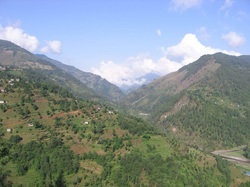 Jaleshwari village is scattered over the hillside. 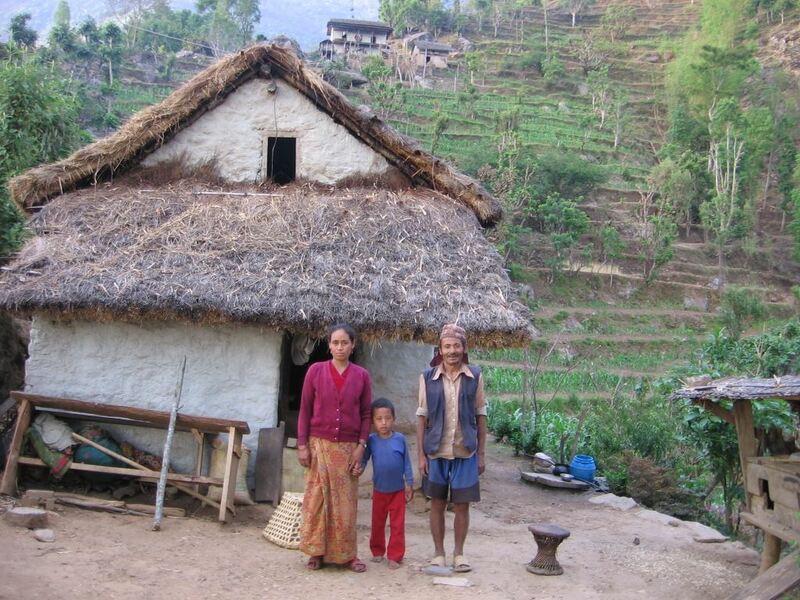 Nepal Remote Villages Trust aims to ensure that impoverished families in Jaleshwari and nearby villages are helped. Families in need of livestock donations are identified by the village committee in conjunction with Nepalrvt trustee Pasang. 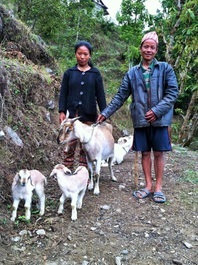 Trustees Pasang and Himal are confident that each family has enough land and water to comfortably keep 3 - 4 goats. The steep terraces mean that the traditional farming of maize and other vegetables is highly labour-intensive. 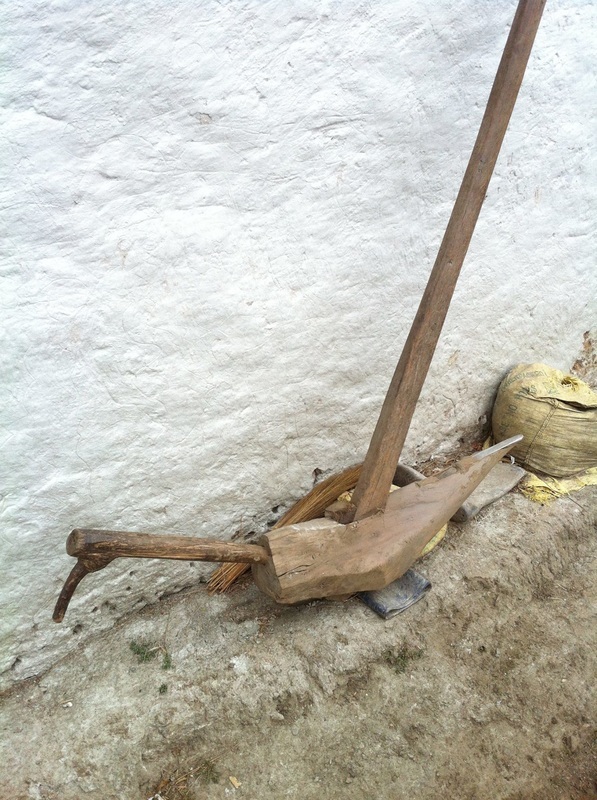 With only very basic tools and equipment it is also back-breaking work. 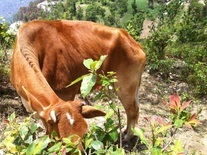 Goats and native cow breeds can graze on the sloping hillsides and provide valuable milk, and, as the flock grows, meat. The map of Nepal (below) shows the Khotang region and the location of Jaleshwari. 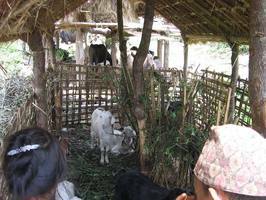 Villagers have constructed shelters for their new livestock. 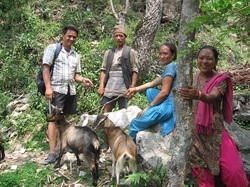 Villagers from Jaleshwari with goats. Jaleshwari village is very remote. Situated in Khotang in the Lower Everest region of Nepal, it is 3 days walk from the nearest bus stop and 4 days walk from Namche Bazaar on the Everest Base Camp trek.